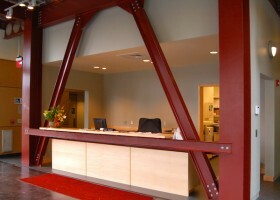 Buckner Companies, a national crane leasing and steel erection company, trusted Romeo Guest Associates, Inc. to partner in the design and construction of their new 15,000sf corporate office building and conversion of 8,500sf of existing office space to a café, exercise area, training rooms and other high-profile common areas. 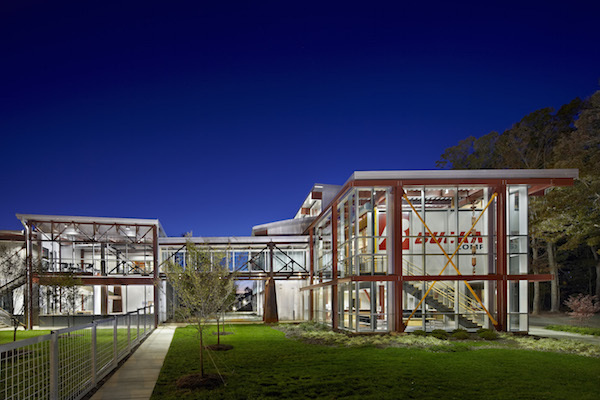 The project utilized over 30 tons of steel from Buckner’s “boneyard” containing several decades of salvaged steel members and a rescued 15 ton, 58ft long, train trestle style pedestrian bridge. 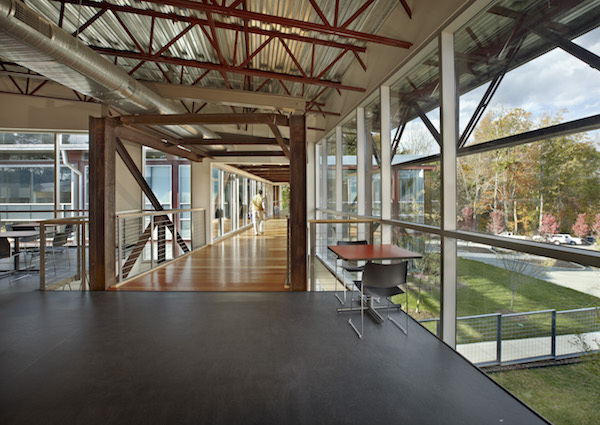 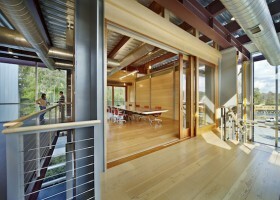 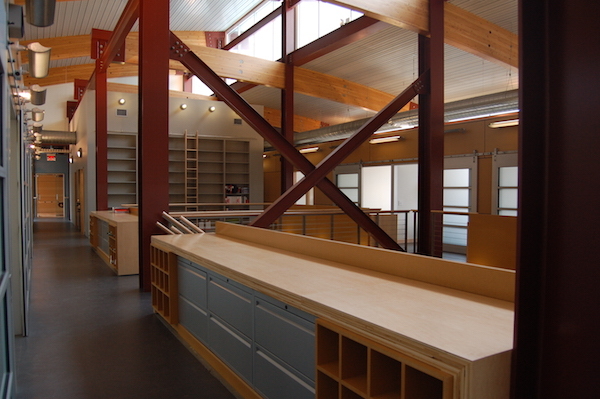 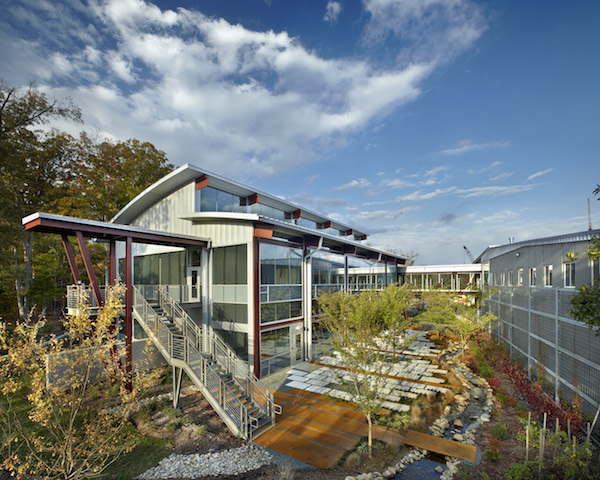 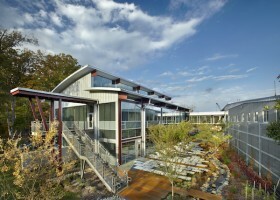 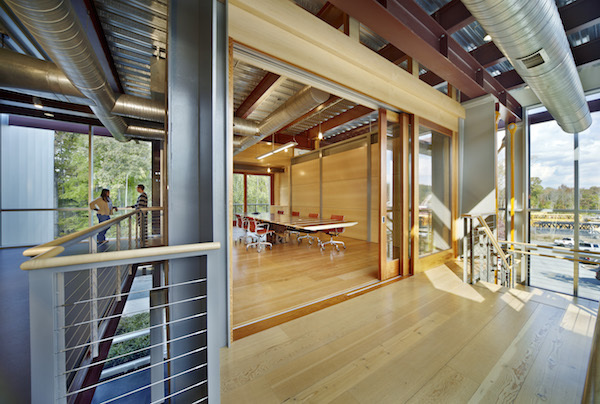 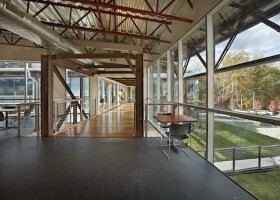 The design team embraced an all-points sustainable building effort and incorporated LEED building practices at every opportunity. 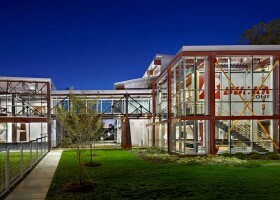 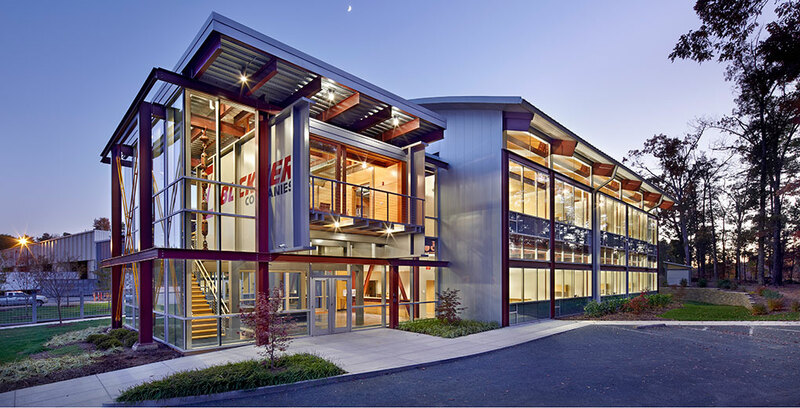 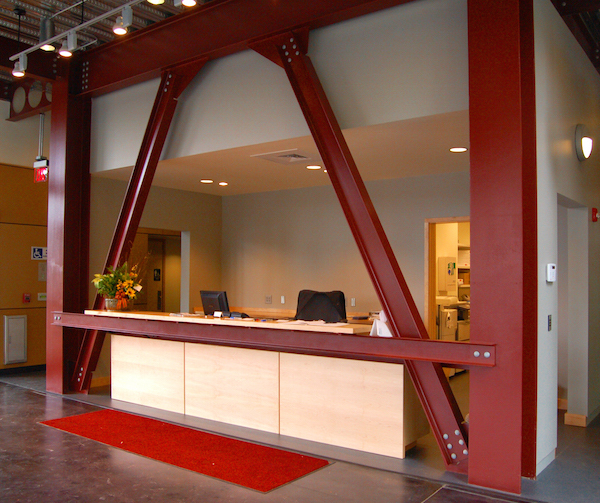 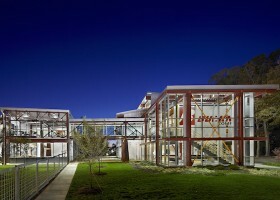 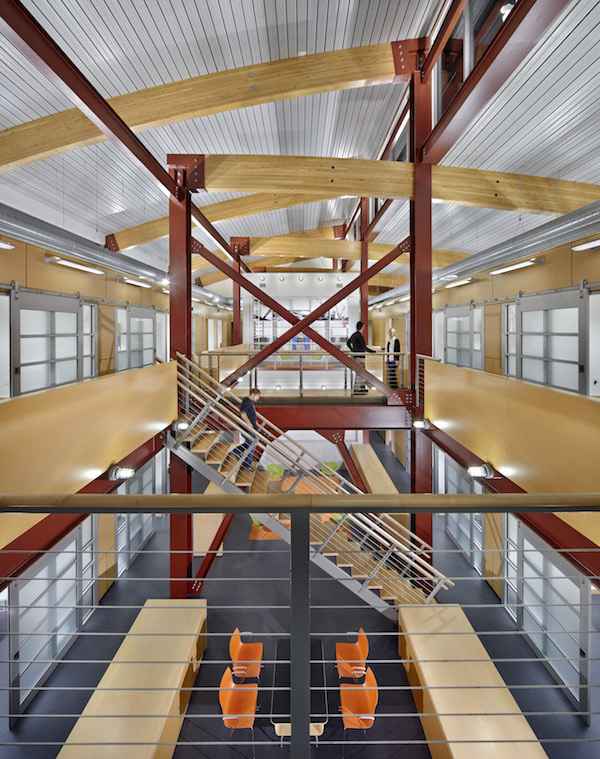 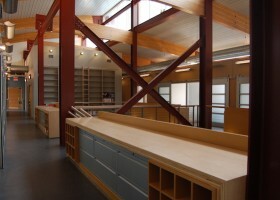 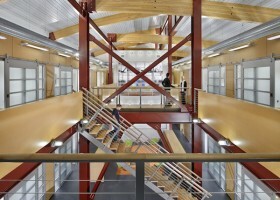 The Facility was completed in May 2010 and earned national recognition with the 2011 Innovative Design in Engineering and Architecture (IDEAS2) award from the American Institute of Steel Construction.